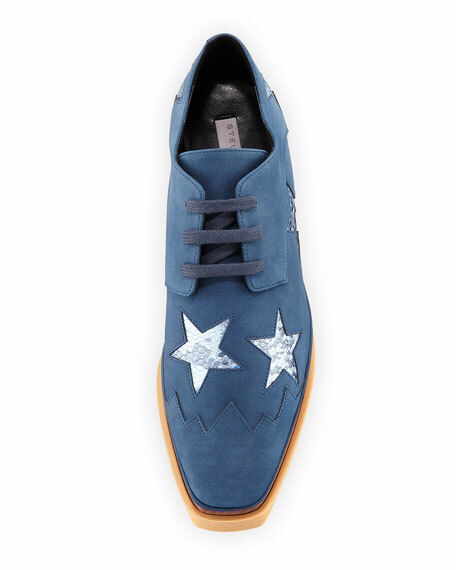 Stella McCartney faux-suede (polyurethane/polyester) sneaker with snake-embossed cutout stars. 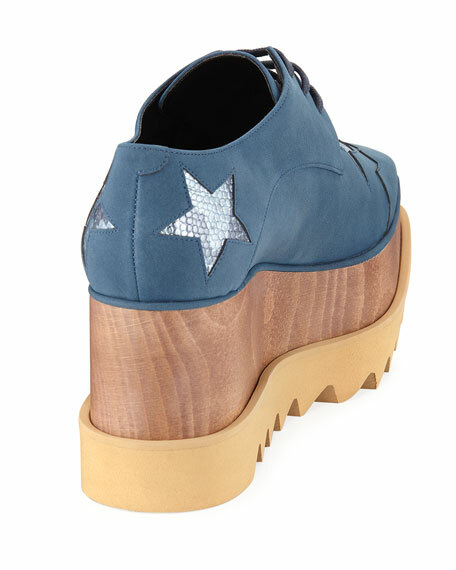 3.3" wooden wedge heel with platform. 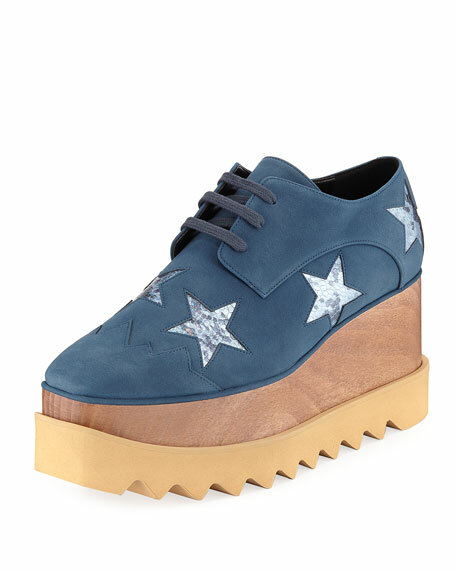 "Elyse" is made in Italy. For in-store inquiries, use sku #2373137.